Trumbo is about two things: the trials and tribulations of a successful screenwriter, and the cultural acceptance of an uncommon political discourse. We spend time examining both, but never truly get into the meaty centre of either. Said screenwriter is Dalton Trumbo (Bryan Cranston), a creative caught up in a battle of black-and-white politics; it’s us versus them and US versus Russia. “The Blacklist was a time of evil,” he bemoans, and it probably was. Fighting against tonally light content, we don’t see that evil. It is mid-20th century America and Hollywood has been torn in two, ambiguous grey areas nowhere to be seen (certainly not in this filmic incarnation). There are those with ties to Communism and ideals driven by wealth distribution, none more so than the aforementioned Trumbo. Then there are the others — studio heads, directors, actors — who bear defiant patriotism, unwavering in their hatred for the Communist agenda. 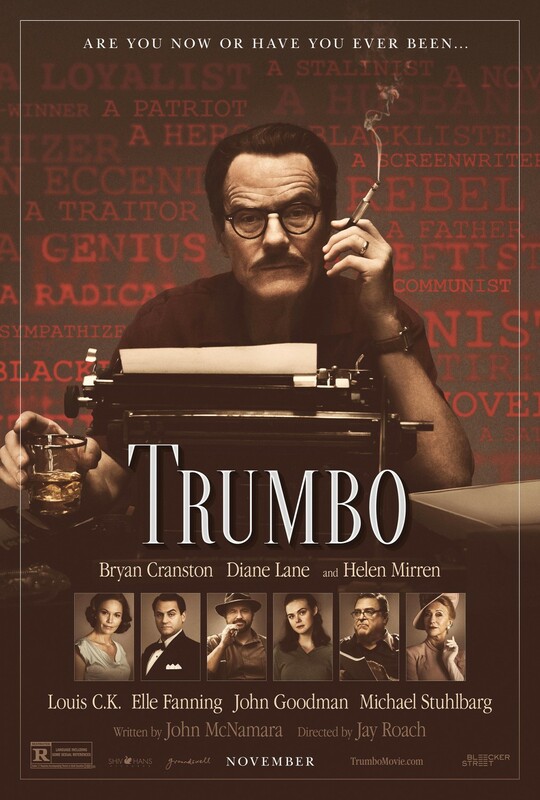 The turbulent ripples become clear, crossing the personal-professional divide almost instantly: “[Trumbo is] among us. Sure as hell ain’t one of us,” says one director, and he ain’t referring to movie guilds. Director Jay Roach employs newsreels that lambast Communism by throwing the words “radical” and “anti-democratic” around. 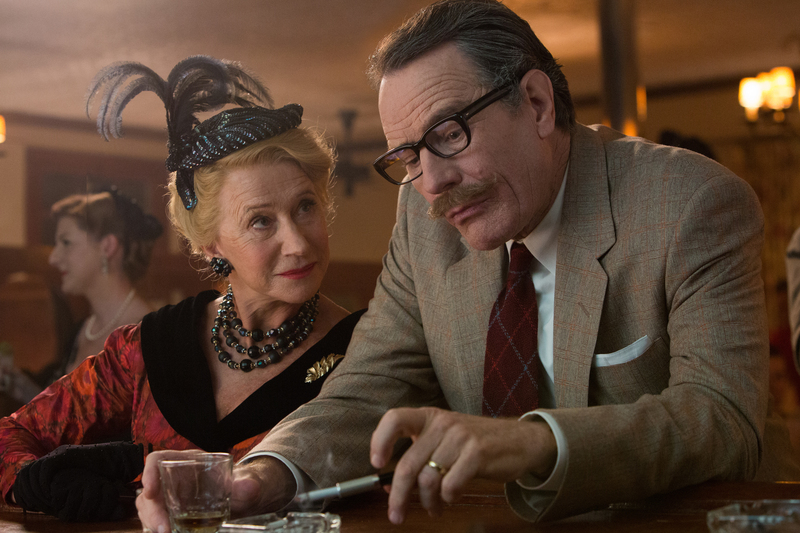 Trumbo himself, though grouchier as the film wears on, is a beacon of idealism: the imaginative writer, accepting, and willing to give the benefit of the doubt to those on the other side of the fence. When he’s not doing that, Trumbo is storytelling — we see him awaken in a bathtub and pick up his pen as if he hadn’t stopped for a snooze break. He ponders thoughts before his typewriter, smoke clouding his headspace, evoking a sense of artistic megalomania. Cranston plays him well, naturally manoeuvring between cartoonish cheer and patchy introversion. 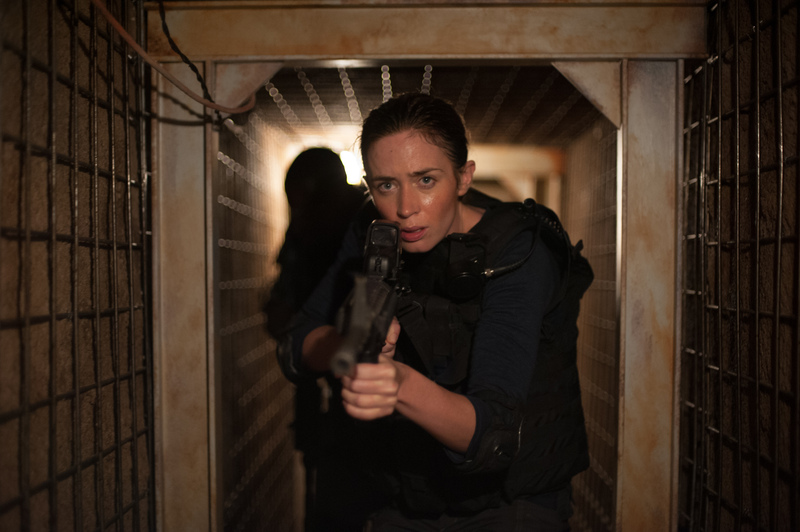 The movie moves with welcome momentum, but there is a lack of bite in each narrative stroke. That the rabble of screenwriters charged with Communist associations are, at worst, fairly wealthy white males ought to be more of an issue given the film’s discriminatory context, but that is only brushed over during a brief conversation between Trumbo and fellow writer Arlen Hird (Louis C.K.) — the civil rights movement becomes a meagre agent of friction between father and daughter, forgotten after a heart-to-heart. In fairness, unfair haranguing by Supreme Court magistrates does show us how little progress we have made in terms of political jousting and partisan stubbornness. You would think the criminalisation of the Hollywood Ten (as the writers are collectively known) would have a creative impact on the film industry, but we don’t really see any immediate consequences. Irrespective of politics, incarceration means a loss of talent and that loss is skimmed over even after Trumbo and co. are released from prison and subsequently blacklisted. The workaround is fairly obvious: sell one’s work under somebody else’s name. Trumbo does just that, penning and then passing on the critically acclaimed Roman Holiday (1953) to his untainted screenwriter pal Ian McLellan Hunter (a typically effective Alan Tudyk). It’s when he decides to work with B movie studio exec Frank King (John Goodman) as a script curator that we see some sort of occupational impact — these films are shoddy, far from Trumbo’s intellectual norm. As King puts it, “Quality minimum; quantity maximum”. Goodman’s arrival ushers in a Coen touch, a bout of heightened satire and craziness, and probably the film’s best moments too (a baseball-bat-wielding Goodman is a sight to behold). This stuff is enjoyable, though you do get the sense the filmmakers are too caught up in moulding an accessible film to carve out something significant. What this means for the characters, and Trumbo especially, is a lack of piercing emotional rigour during moments of plight. Forced to strip off all of his clothes, Trumbo’s entry into jail is clearly demeaning and disheartening, however it should be tinged with so much more emotional verve. But up until that point there is no gravitas urging you to sympathetically invest in the scribe. Trumbo’s only emotional ties are those the film does not really have to earn: to his family, including daughter (Elle Fanning) and wife Cleo. Fanning shows spark and in spite of her fairly thankless role — wife and mother — Diane Lane manages to imbue Cleo with a dose of likeability. Helen Mirren channels her inner Rita Skeeter as Hedda Hopper, the media’s harshest Communist critic. “Bad box office? No, bad politics,” she says, more concerned with political allegiance than money which, given her job relies on a thriving Hollywood, is quite something. John Wayne is arguably her biggest ally from within the industry, played here with brutish aplomb by David James Elliot. Perhaps somewhat surprisingly, other big anti-Communist thinkers such as Joseph McCarthy are tiptoed around, Roach opting instead to focus on Hollywood figures. On the aesthetic face, lots of high-waisted trousers and charcoal fedoras help to amplify the time period. Pathé-esque newscasts look real — some are, such as one depicting a John F. Kennedy film critique (two thumbs up) — while Roach’s use of newspaper prints to relay the national agenda is a nifty touch. 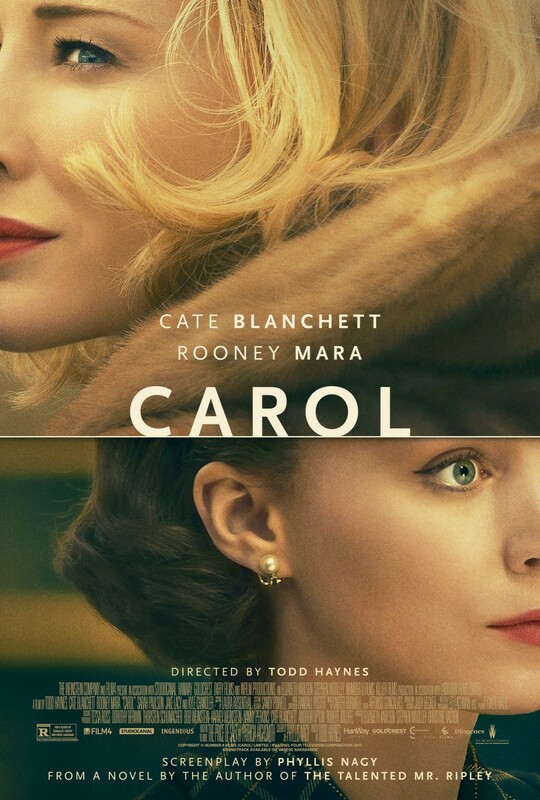 These visual styles culminate in a retro flavour that generates more authenticity; it’s no Carol, but it’s good. Vowels are even offloaded with deeper verve. Cranston’s Trumbo sounds like someone who once resided in one of those old, grainy video recordings from many decades past. Screenwriter John McNamara has a lot to juggle content-wise so perhaps the hit-and-miss nature of Trumbo shouldn’t come as much of a surprise — Kirk Douglas (Dean O’Gorman) and Otto Preminger (Christian Berkel) arrive without warning as the film reaches its scattergraph finale, name-checking Kubrick and negotiating screen credits. The film is essentially a trivial overview of a much more interesting period in US and Hollywood history than is given credit. But Trumbo is wholly watchable and Cranston commendably holds the screen, amounting to a piece worth its papery weight in entertainment. Just like last year, Eddie Redmayne is spending his January up on cinema screens across the UK in a film about strong relationships and physical change. The Theory of Everything thrived upon its stars’ chemistry — Redmayne and Felicity Jones perfectly complemented each other as Mr. and Mrs. Hawking — and it is true that much of what is great about The Danish Girl revolves around its central pairing. Unfortunately, the film undercuts the dramatic potential of its subject matter (reality-based pioneering gender reassignment surgery). It shouldn’t be standard fare, but it is. Redmayne plays Einar Wegener, an artist who dresses up as a woman at the behest of his wife, Gerda (Alicia Vikander), and feels whole upon doing so. Einar evolves into Lili, first mentally and then physically, though Redmayne’s vulnerability remains steadily palpable throughout. The problem isn’t the actor; it won’t come as a surprise for you to learn he is good. Rather, it is the syrupy circus that surrounds him — those feather-light piano melodies that are enforced without any sort of careful restraint, and a screenplay absolutely swamped in fluffy dialogue (“My life, my wife”). There is heartfelt delicacy, which is clearly what screenwriter Lucinda Coxon is going for, and then there is off-putting sentimentality, which is what she ends up with. 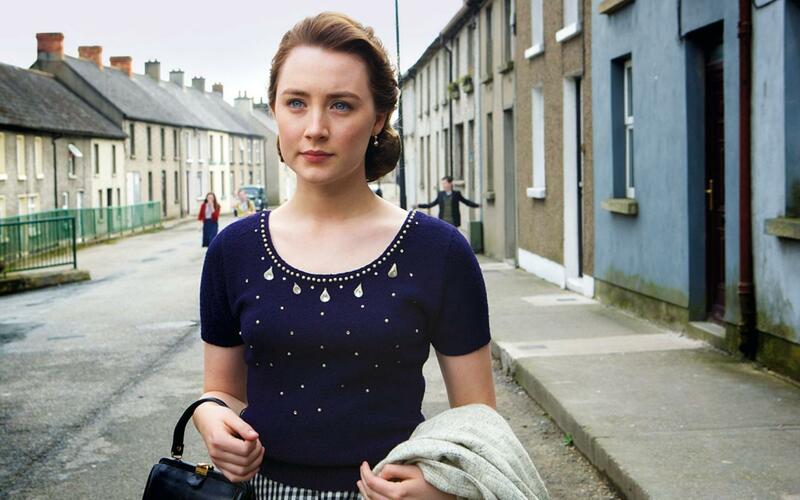 Despite this, the film manages to celebrate two different kinds of femininity. Redmayne plays Lili with a soft evasiveness undoubtedly born out of her repressed identity. Gerda, on the other hand, appears battle-hardened, initially parading a boldness and then later genuine strength in the face of life-changing revelations. You have to believe in their relationship and its robustness in order to believe in the film on a very basic level, and you do because Redmayne and particularly Vikander sell their characters’ love authentically. As Lili’s desire for personal correction ripens, the nuances of the two central roles are reversed and the narrative focus flips (at least it did for me). 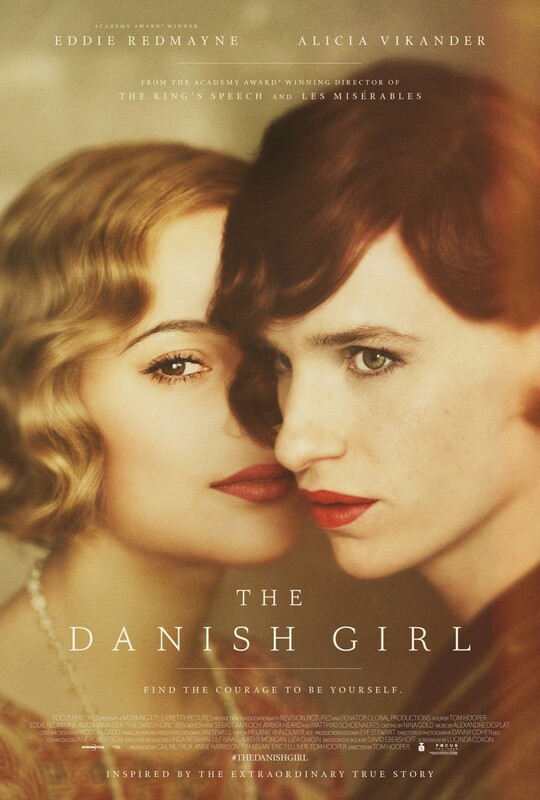 The Danish Girl starts to explore those hardships encountered by its other Danish girl, Gerda. Lili’s physical and mental anguish is plain to see and at times tough to consume, but we also must remember the major impact her situation is having on Gerda’s life too. 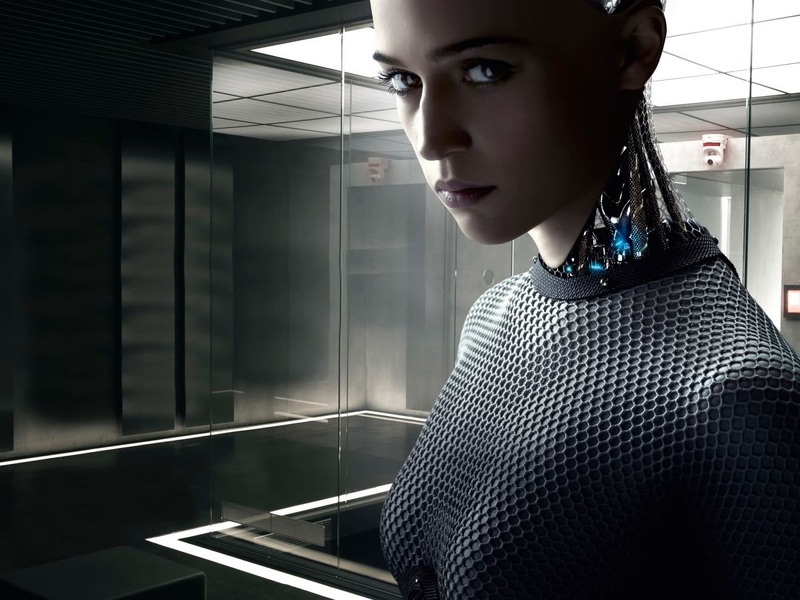 Vikander takes us on an emotional roller coaster: pained, confused, sorrowful, empathetic. 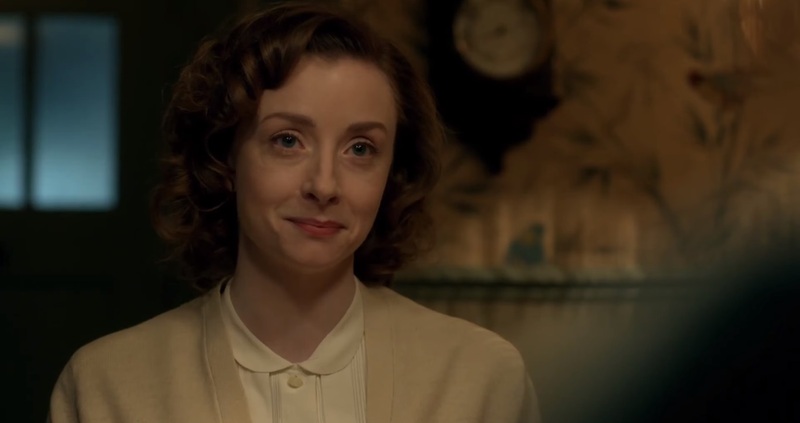 We watch just as she does, and we feel because she feels. Like in Mr. Turner, art is used as a mode for exploration. That is until the film forgets about the art, which in and of itself isn’t a bad thing. Securing one’s true lifestyle is far more important after all, but we do spend a fair chunk of time in plush museums and at fancy gatherings and around interesting paintings for the piece to avoid that stuff thereafter (the movie’s funniest moment transpires from Gerda painting a particularly uptight gentleman). To be fair, this move away from art is consistent with Lili’s mindset — she decides not continue her career upon finding her real self — though a visit to the easel every now and again would have been welcome for story continuity: how are the duo making enough money for travel and healthcare if only one of them is working? 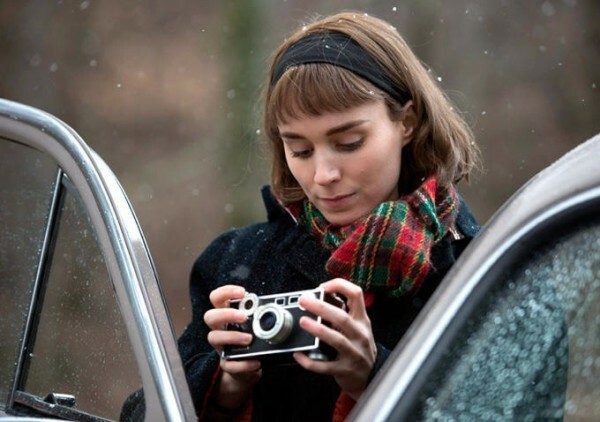 Tom Hooper and cinematographer Danny Cohen borrow from, of all people, Wes Anderson’s portfolio, at one point whimsically depicting a street of yellow bungalows side-on. It is a great shot, a single quirky page out of an otherwise standard picture book. Lili and Gerda’s house looks a bit like a charcoal painting, with shades of blue and grey adding little colour to the wooden floorboards and cracked walls — like the opening hour of The Hobbit: An Unexpected Journey, of all films, it feels as though we are watching people interact on a carefully constructed set. 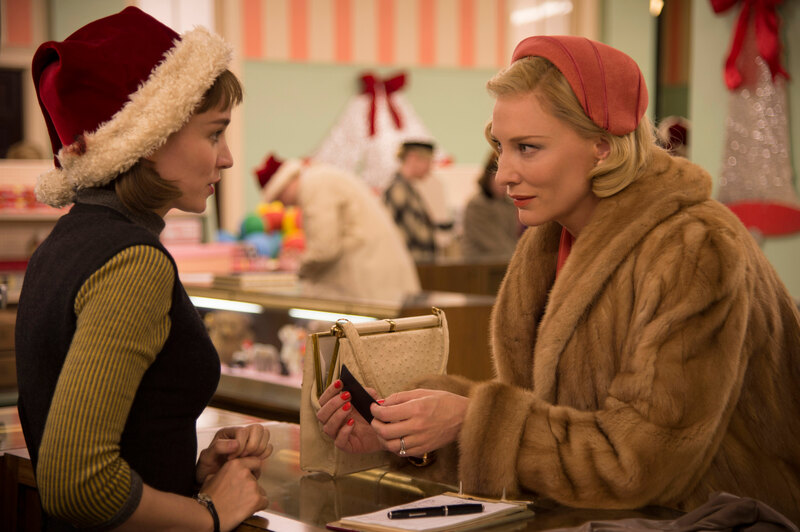 Todd Haynes’ Carol took on the social imbalance of 1950s New York and The Danish Girl similarly reflects a time when ‘to be different’ meant ‘to be insane’. We never really get into the nitty gritty of that though; the piece does seem to want to delve further into how Lili is affected by society’s petulance, opting to show an unprovoked attack and a couple of doctors’ misinformed diagnoses, though that is as far as it goes. Upon learning about a surgeon who might be willing to help Lili from one of Gerda’s clients (Amber Heard), any lingering backlash becomes non-existent. Vikander aside, subtlety rarely features. Perhaps the subject matter requires as much, but an overly mushy screenplay lands the outing in cold water. The script also fails to carry the level of propulsion necessary to maintain two genuinely compelling hours. 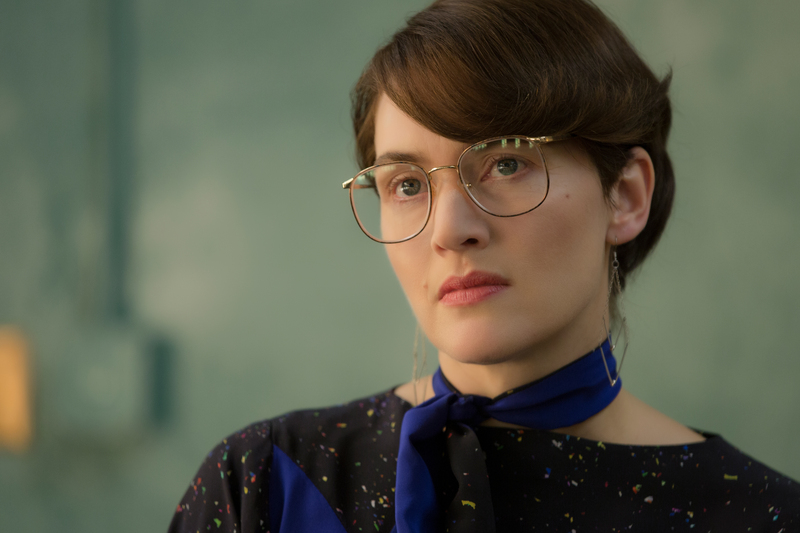 We enter more interesting territory when the spotlight is shone on Gerda and her struggles — a point at which Lili’s post-breakthrough self-obsession is admirably acknowledged (“Not everything is about you”) — but it isn’t really enough. Matthias Schoenaerts and Ben Wishaw freshen things up occasionally, though their roles do not carry any weight in the grand scheme of things. I referred to a particularly amusing portrait painting scene earlier as a lone funny moment, but there is another unintentionally humorous façade: Lili (at this point still Einar) dresses up as a woman and attends an artist’s ball with Gerda. It’s like something out of a Superman comic: apart from a few close friends, nobody recognises the apparently popular landscape artist despite the astounding resemblance. Perhaps that is The Danish Girl in a nutshell: all too obvious and oddly difficult to comprehend.